Sometimes, I pick up the guitar, and the songwriting flows as if it were something else beside me. As if the song were just there, waiting patiently for the moment. This demo of You Make It All Right (Glitter and Gold) is one of those songs. I randomly sang the first line, and in that moment, I knew the entire song and story. The chords fell into place immediately. I wrote this whole song, which I really like, in about 15 minutes, tops. Maybe not even that. Songwriting rarely goes that easy. Usually, it’s a struggle with parts of the song, moving words and editing phrases and adding bridges, and reworking the entire meaning. It’s not unusual for me to start writing a song about one thing and end up with something else entirely when I am done. When the song just falls into place, it’s a strange, magical feeling. I’m proud of this one, for the story it tells of friendship in the face of hardship, for the mandolin-sound of the guitar (the capo is the neck) and for the possibility with my bandmates. We’ll see how it goes. Sometimes, a demo falls apart when it becomes part of the band sound. Data? Who Needs Data? I’ve Got Graphs! I am so honored to have been asked to be a keynote speaker for the 4T Virtual Conference on Digital Writing coming in October — a virtual conference on digital writing and learning that is free. Yep, free. 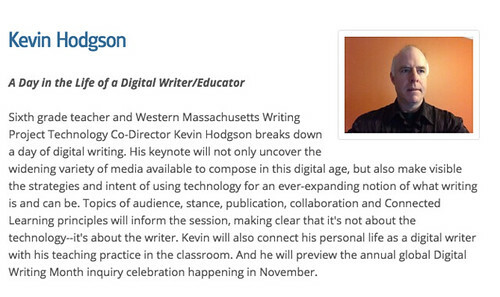 My keynote session is entitled “A Day in the Life of a Digital Writer.” I aim to explore how writing is at the heart of the digital, from my own perspective and from the lives of my students. There are other many fine presenters, too, all worth checking out. And there are a bunch of National Writing Project connections, and a push into Digital Writing Month. You can view the flier here, and register here. The entire conference is online, but made to be as interactive as possible. I’m having a hard time writing this post. Seriously. 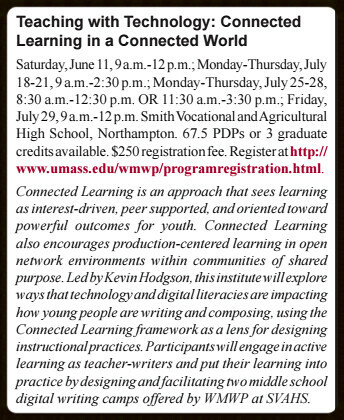 I had such high hopes for a summer in which I would bring the elements of Connected Learning in full swing to my Western Massachusetts Writing Project site with a graduate level course offering connected to two summer youth digital camps. In the graduate course through UMass, educators would learn about technology and digital literacy, with the pedagogical anchor of Connected Learning. I was really jazzed up about bringing the Making Learning Connected MOOC into the course itself (the timing would have worked) and then having teachers plan/co-facilitate two youth digital summer camps at our vocational high school that would center around student interests, with highlighted sectors of video game design, webcomics, paper circuitry, digital storytelling and more. A WMWP educator and friend who is in a grad program around digital studies and education was going to help me facilitate the summer. He helped run a MOOC in this grad program, so his experience would have been valuable. Plus, he is doing all sorts of good work with youth programming. … until reality kicked in. Here’s how many kids signed up for the camp: Zero. Here’s how many teachers signed up for the course: Two (and one was only “iffy”). This week, we pulled the plug on both offerings, and I am sad about having to make that decision. That’s why it’s hard to write this post. It feels like a failed attempt to push us forward. I feel as if I failed to push us forward. Something else that I don’t quite see right now. The youth summer camp turnout (zero? really?) surprises me, to be honest, since in the past, we have had a waiting list of students for our digital camps on similar themes. We’ve engaged middle school students in moviemaking, game design, comics, and more. It’s been very popular, albeit we took a few years off from sponsoring the digital camps. So, we will go back and mull over what we could have done differently, and think about either next summer or offering a course during the school year. I am not personally interested in running a grad course built around “how to use” technology. I am more interested in facilitating a course in which digital learning and literacies are at the forefront, with the technology being tools we may, or may not, have our disposal to use, as the backdrop. When my oldest son, now graduating high school, was young, he wanted to learn how to make movies. It turns out, I was teaching myself how to make stopmotion movies at the time, thinking I would bring that kind of moviemaking into my classroom (which I did for a few years). So, my son and I made movies, together. It was a blast. Mouse and Cat Together from Mr. Hodgson on Vimeo. Then, he began to venture on his own, planning more complicated and longer films, and using a little flash video camera for shooting and MovieMaker software on our old PC. Sometimes, he would ask me to help or to be in the movie. Sometimes, not. The Squop from Mr. Hodgson on Vimeo. Then, he began to go deep with the idea of making movies and explored various editing tricks. He would storyboard, just like I showed him, and once he had a YouTube account, he’d post some of his short films online. For his senior year Capstone Project, he spent months making this documentary of his friends’ rock band, and as I watch his work from behind the camera and in the editing “room,” I see how far he has come and how much he has learned on his own. Shovel Trouble from Mr. Hodgson on Vimeo. A bunch o’ folks are working to plan and launch the fourth year of Making Learning Connected (CLMOOC) in July. We’re sort of on our own this year, as the National Writing Project is turning its resources and attention to another great summer project (see below). We’re aiming to crowdsource the Make Cycle activities of CLMOOC as much as possible. A bunch of folks are tinkering in Slack space to get organized. What will CLMOOC look like? We don’t yet know. But we have faith … and we have an overarching theme: Cultivating Connections and Community. Cool, right? If you want to get on the list for news updates about CLMOOC, we have a Google Form all cooked up for you. You can follow events on Twitter (#clmooc) and in Google Communities, and who knows where else. Ripples happen, right? Wondering how to stay creative and engaged until then? 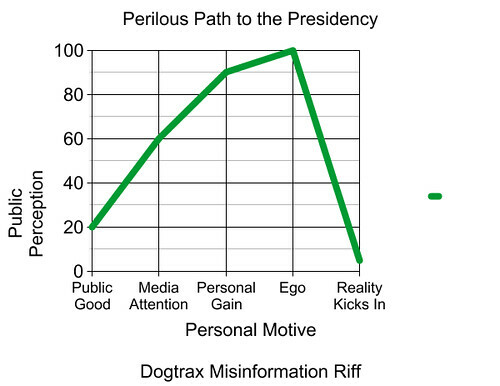 Be sure to check out Letters to the President 2.0 project, overseen by National Writing Project and Educator Innovator (the two organizations which seeded the CLMOOC to begin with, three summers ago). The Connected Learning themes resonate through that entire L2P project of raising student voice into the political stage. Maybe this idea will have some legs during the Making Learning Connected MOOC this summer (July! More to come! 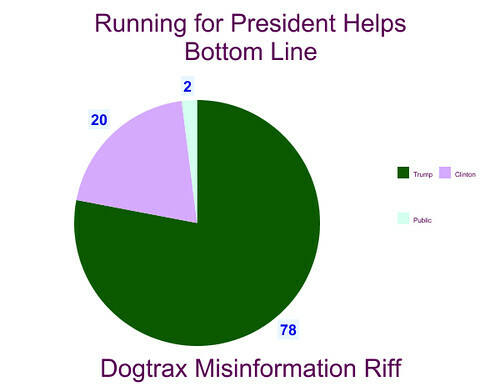 ), but I was culling through some of the cool projects with the Letters to the President and noticed the Infographic Make activity. 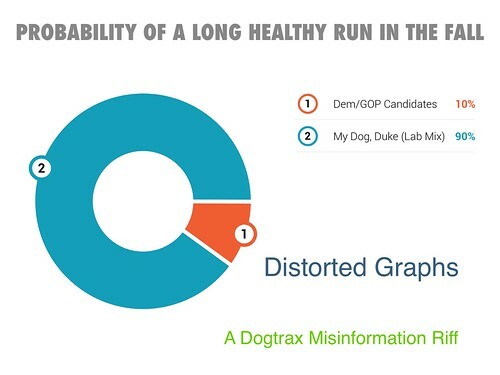 It occurred to me that making faulty infographics spun out out of “no data at all” to make a political point might be interesting and a bit subversive. 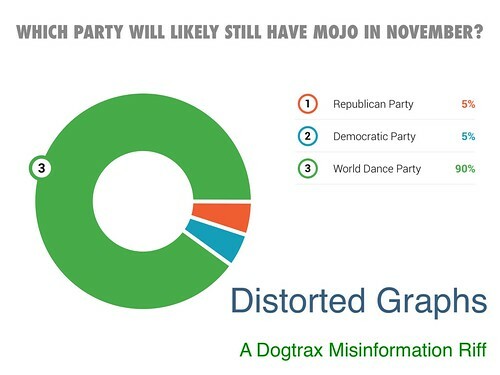 Infographics look like they know what they are doing. But anyone can make something pretty that seems official. That doesn’t make it so. 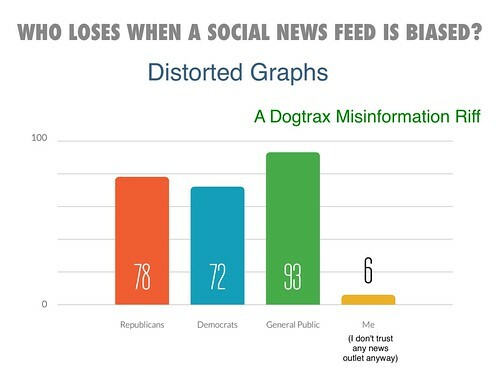 What if I purposely ignored data and made infographics based on political stance? 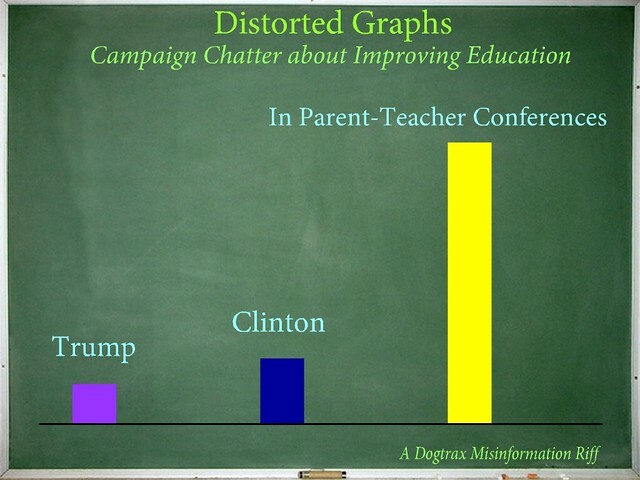 So, I concocted this first Distorted Graph this morning, wondering when candidates are going to really explore our US educational system as a campaign issue, even as it dominates discussions between parents and teachers. Here’s a book that will force you to look at all of the odds and ends on your cluttered desktop (sorry, I am sure yours is nice and tidy but mine rarely is) and wonder about the stories behind the objects that we use everyday with a single thought as to their origin: the paper clip, staplers, Scotch tape, Post-it sticky notes and more. 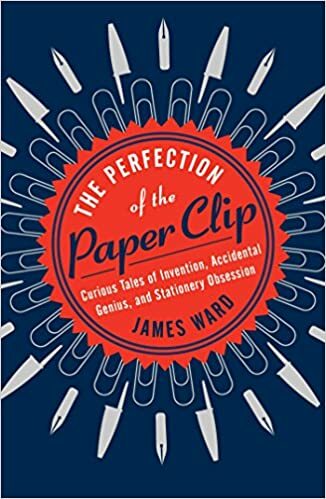 The Perfection of the Paper Clip: Curious Tales of Invention, Accidental Genius and Stationery Obsession by James Ward is a delightful romp through the mundane elements of the office, and while sometimes the chapters feel a bit too obsessive (look, the title gives you fair warning, right? ), the uncovering of the stories is impressive and intriguing. The book is rich with Ward’s humorous take on life (he runs the Boring Conference … which seems intriguing in its own way, right?) on the objects we often take for granted, and plays up the spoils of competition among inventors and manufacturers. Actually, I found the opening chapters about the invention of the “pen” itself, and all of its various evolving natures over time (from quill to ball-point to space pen and beyond) to be rather fascinating, for some reasons. Maybe it is the hold-out for tactile writing elements or maybe it is the unending drive by engineers to keep perfecting an object even as they try to find a market to buy what they are inventing. The Perfection of the Paper Clip is a nifty ride through the objects on your desk. You’ll never staple a paper, write a note to a lover, tape that ripped letter back together or file things away in that filing cabinet again without some story coming to mind. It’s already happening to me. I nodded, and watched my middle son (age 16) crouch behind the plate. He was the sole umpire of the Little League game under way, and my younger son and I were there. My youngest wanted to see his old team play, a sort of baseball trip down nostalgia lane. I was curious to see how my 16-year-old handled himself on the field, with adult coaches shouting and complaining on behalf of players (all part of the game, in a way, as long as it is respectful), and young players pitching and hitting. I held my tongue as the strike zone seemed to expand (although one of the coaches made this fact crystal clear from the dugout) and admired the strong voice that called out the pitch count. I watched as he faced the coaches and informed them that the league-designated clock for starting a new inning was running out, and that the game would soon be over (even as one team was positioned to make a comeback run). He’s a good baseball player himself, on the high school team and now about to begin a summer elite league. 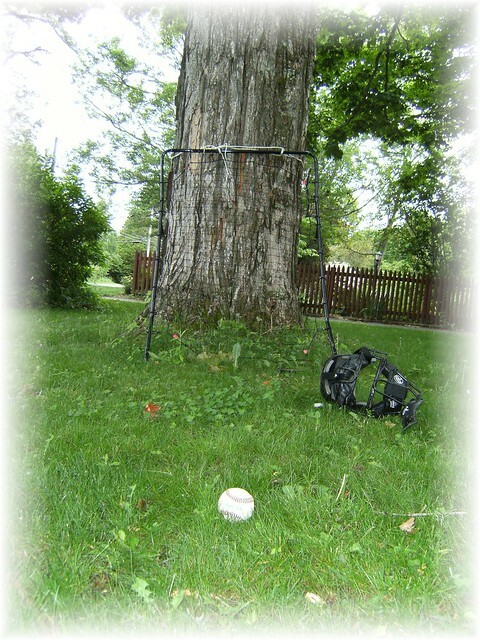 But I know he has always been a keen observer of the game, too, and that he always wanted to be an umpire. When he was younger, he would stage entire baseball games in the backyard with a whiffle ball and bat. 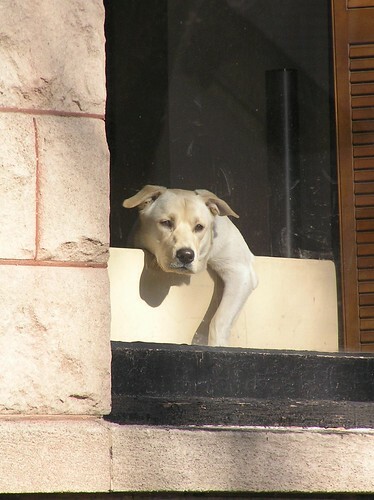 We’d hear him through the windows, calling plays and staging dramatic comebacks. Last year, he started in the field as an umpire for a few games and now he is behind the plate, running the show with confidence. And getting paid for it, too. Yep. I was there, cheering on the umpire. He did a fine job. I saw this book — Artists, Writers, Thinkers, Dreamers — on the shelf of the public library and grabbed it quickly on the way out. Sort of an impulse buy. I’m glad I did. James Gulliver Hancock, an artist, has created a wonderfully illustrated book of, as the title says, many people with big dreams. 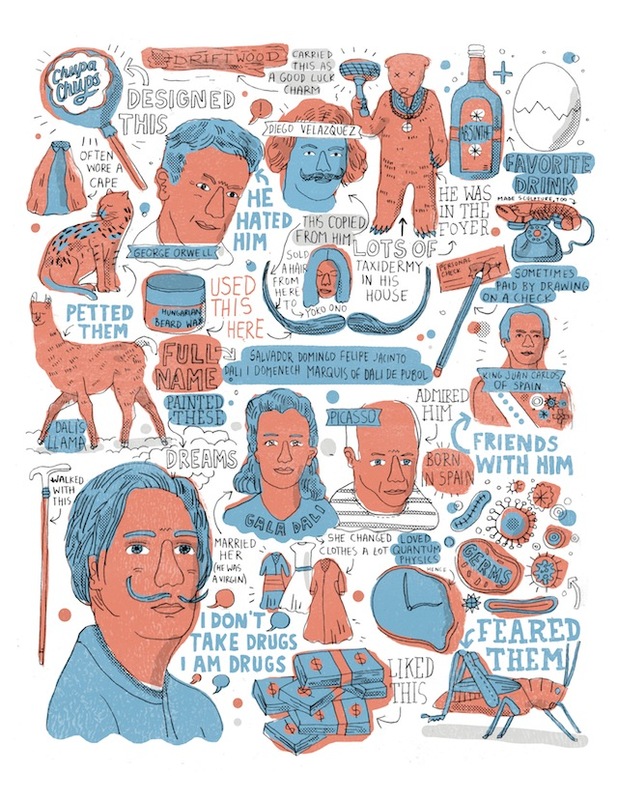 But it is the subtitle that says it all: Portraits of 50 Famous Folks and All Their Weird Stuff. This is not a typical biographical book. Rather it is a sort of sketch book, in which Hancock devotes a single page to one of the 50 folks, and weaves a sketch map of ideas, noting quirks and little known facts about them. I also appreciated that Hancock has shared a pretty diverse list of people to focus on, from Margaret Thatcher to Louis Armstrong to Coco Chanel to Bonnie & Clyde to Ghandi to Muhammad Ali, and more. I guess you could criticize this very diversity by saying no single theme emerges, but I appreciated the surprise of not knowing what the next page would bring. And Hancock gives himself over to his art at the last page, too, making fun of his own foibles and quirks, showing that not even the writer is immune to the strange ways we live our lives.